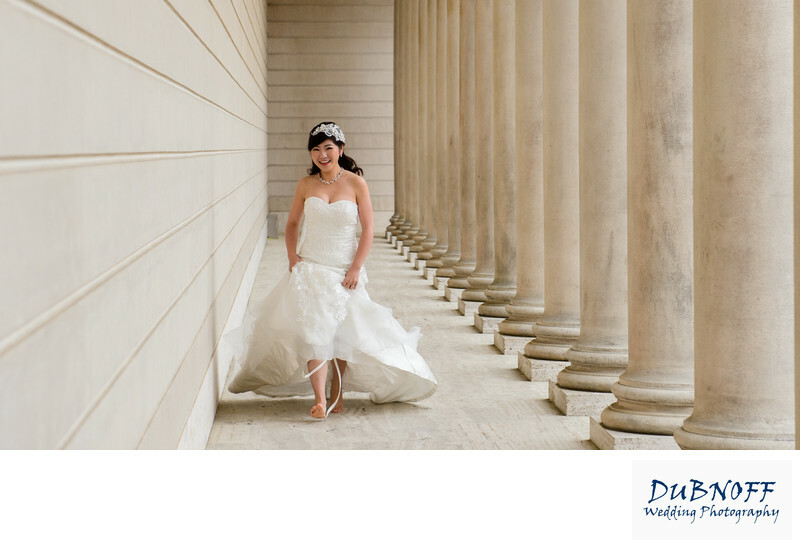 We have been talking about movement in Wedding Photography. This is a great example. We asked the bride to remove her shoes and had her run towards us. We took about a dozen photos until we managed to get the photo above. Any time you have a static medium such as photography, it pays to try to do something make it different. We often have our couples run or walk towards us to create movement and add interest to the photo.